THEY call Paul Carville the ‘Pied Piper' around Tir na nOg because he invariably has a group of eager youngsters trotting after him. The energy and dedication Paul puts into the Portadown club from underage to senior level were acknowledged last week when he was named Large Club Volunteer of the Year at the Irish News Awards. Paul is the club coaching officer, the schools co-ordinator as well as co-ordinator of the club Cul camp and summer camp and has been instrumental in the club outreach programme and the club's ‘Portugal versus Ireland' initiative. The former Armagh player was first taken along to the Tir na nOg grounds by his dad Michael, a club stalwart who sadly passed away in 2007. “Like everyone else, you're brought to the club when you're six years-of-age and it's all you know I suppose,” said ‘PC'. “My dad, Michael, would have been referred to as ‘Mr Tir na nOg'. He died in 2007, fairly young. I wouldn't say I was trying to follow in his footsteps but it's all you know and you'll keep it going. “It's where all my best friends hang out and where all my family are. From taking underage teams: U6s, U12s, U14s to doing the schools', coaching, to playing… I just get involved and do whatever needs done. Paul recently tied the knot with Armagh ladies' star Mags McAlinden, who is also a popular and respected underage coach in the Orchard county. 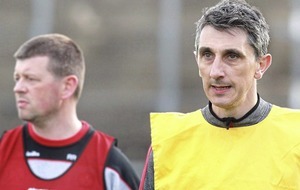 It's unlikely that married life will curtail his GAA output. “It's maybe slowed down a bit now that I'm married, but hopefully the wife will understand,” he said with a smile. He added: “Tir na nOg has done a lot for me all the way through my life. “We won different things and we lost along the way. I've made a lot of friends and it's great to give a wee bit back – that's all you can do. Tir na nOg have had to face the challenges that all urban clubs encounter but they have made real strides over recent years. A steady programme of developments have taken place including the installation of a popular outdoor gym last year. “The past few years we have come to the fore,” said Paul. 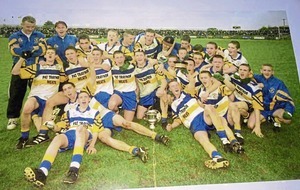 “On the field we had a great run to the intermediate final a couple of years ago and then we got promoted. “We're a senior club which is where we want to be and we had a great win in the Feile with the U14s. We're hoping they'll be the next group of players to take on the mantle but you never know what you're going to get in bigger towns.